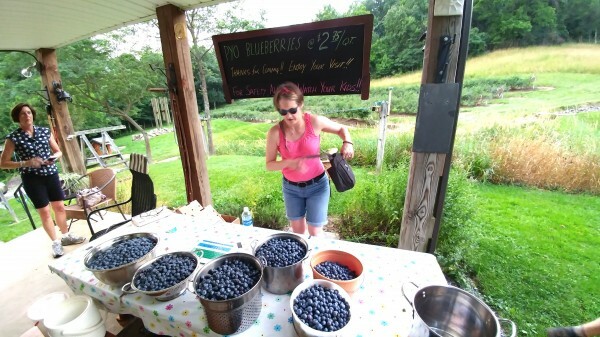 Blueberry season can last well into August here in Central Pennsylvania, and you can still find the little blue globes of greatness at farmers markets, farm stands, and pick-your-own farms like Mountainhome Farm in Julian. 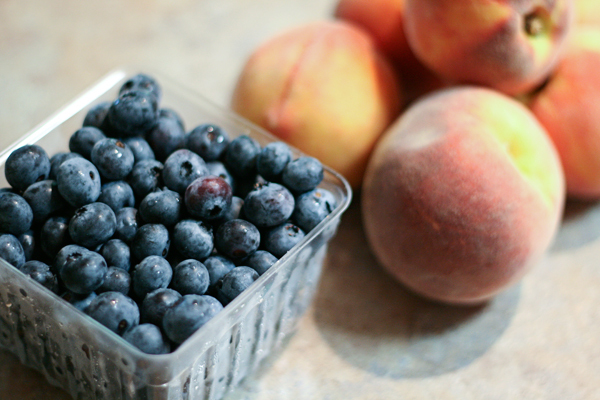 Blueberries have a lot of things going for them beyond taste, including lots of antioxidants. 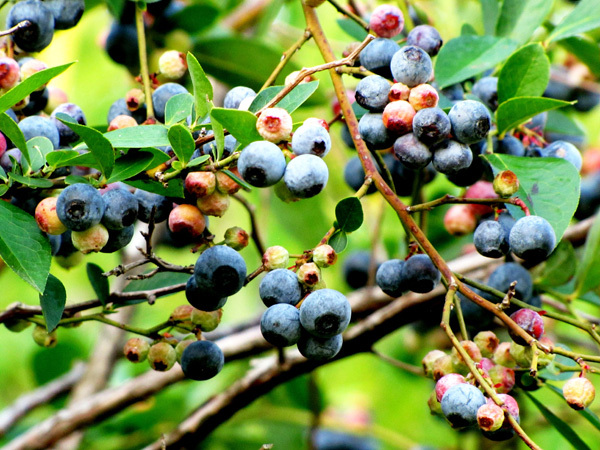 Most people think of blueberries as a dessert food, but blueberries can be a star in savory recipes, such as salads and meat dishes. I have found that blueberries go well with meats such as pork and chicken. With this in mind, this recipe for grilled chicken thighs with honey blueberry sauce is a good introduction to the idea of blueberries as part of an entree. 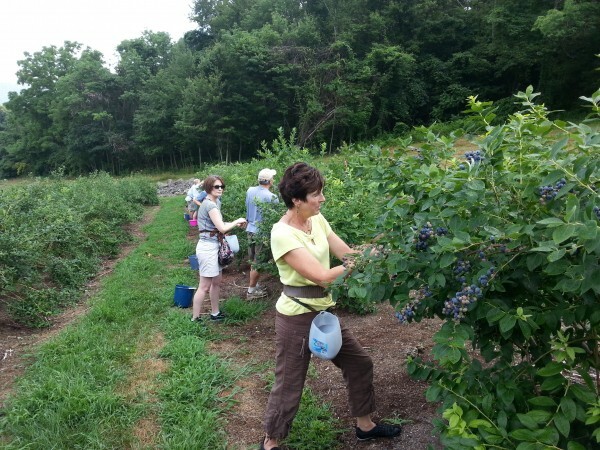 Blueberries are plentiful now at local farmers markets, as well as at our partners’ retail locations, Way Fruit Farm and Harner Farm. 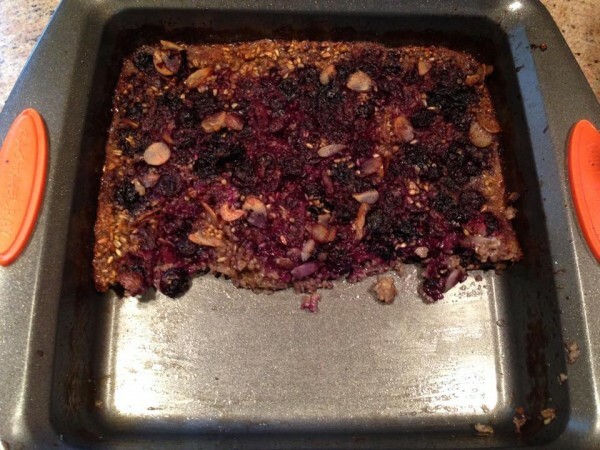 Here is a delicious recipe for Blueberry Buckle from Clare Traynor of Sweet Indulgence Desserts. 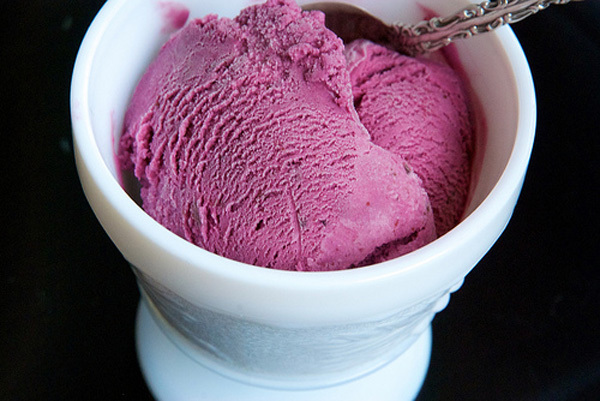 Celebrate National Ice Cream Month and July’‘s sweet berries with this easy blueberry ice cream! Some people love summer for its long, leisurely days. I love it for its abundance of local fruit.